Information on species recors are scattered in publications and museum catalogues, but only a few taxa have merited enough attention for a compilation of the available data on their geographic distribution. This book is aimed to fill in this gap for the species of the rodent subfamily Arvicolinae. 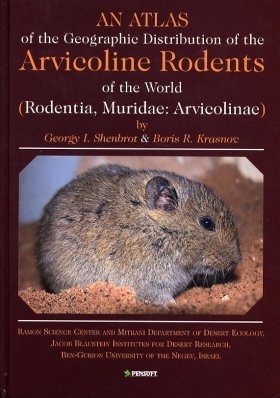 It represents an atlas of the global distribution of all 139 arvicoline species. Distribution maps are compiled from records from the literature and museum catalogues. A map for each species is presented as both record points and a polygon of predicted distributions were constructed using the GARP taxonomic notes and references.